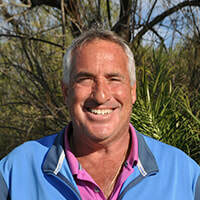 "My goal is to teach the students that their set-up will determine their golf swing. I have done this for over 20 years with amazing success with golfers of any talent or age. Many students tell me they have been waiting for a lesson like I just gave them after the first one. Come see your swing on video and compare it to tour pros for free as a demo when you are at Carlsbad Golf Center. " Lessons include A-star video if requested (no take-home). For more information on teaching availability, rates, or to schedule an individual or group lesson please contact Rob directly anytime at 619-279-GOLF (4653). Payments accepted for private lessons: cash, check or credit card directly with Rob.